Hospitals implementing the American Heart Association/American Stroke Association Target: Stroke Phase II strategies decreased the median door-to-needle time from 66 minutes to 51 minutes, according to a study presented today presented in Honolulu at the American Stroke Association's International Stroke Conference 2019, a world premier meeting for researchers and clinicians dedicated to the science and treatment of cerebrovascular disease. The study, "Achieving More Rapid Door-to-Needle Times in Acute Ischemic Stroke," found there were substantial improvements in time to alteplase administration in Get with the Guidelines-Stroke hospitals after implementation of Target: Stroke Phase II and the program's national goals were achieved with clinical outcomes also being significantly improved. "It is a common saying in the stroke community – 'time is brain' - but it is entirely true," said Gregg C. Fonarow M.D. Director of the Ahmanson-UCLA Cardiomyopathy Center, co-chief of UCLA's Division of Cardiology and Professor of Cardiovascular Medicine, UCLA, Los Angeles California, lead author of the study and volunteer expert for the American Heart Association. "Every minute a stroke goes untreated a typical patient loses 1.9 million neurons – so a faster response time is critical to improved patient outcomes." Alongside the research surrounding the program's recent success in Phase II, the American Heart Association/American Stroke Association is announcing Phase III of its Target: Stroke program. "Phase III of this American Heart Association/American Stroke Association initiative further raises the bar by setting more aggressive targets for timely treatment with IV alteplase, "said Fonarow. "But now the aim goes beyond faster door-to-needle times. Phase III introduces a second type of intervention into the mix, setting the first-ever targets for prompt treatment with endovascular therapy." 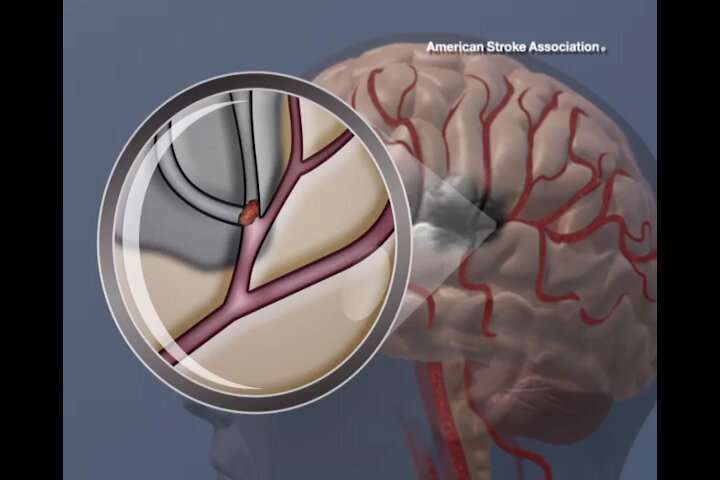 "We see these goals as aggressive – but also completely attainable – and more importantly we believe that it will continue to improve outcomes and save the lives of additional acute ischemic stroke patients. At the end of the day – that is everyone's goal," added Fonarow.